… THIS PERFORMANCE IS SOLD OUT! Special Guest Artist, Felix de Lola, DIRECT FROM SPAIN!! of ALL NEW choreographies set to ORIGINAL flamenco music. Professionals and students are presented in concert! Reserve your tickets today online! A performance you will not want to miss! Director Virginia Iglesias, Madrid trained dancer and critically acclaimed choreographer, along with musical director, flamenco guitarist and composer Jorge Liceaga bring to the stage an exciting new program of original choreographies and music. 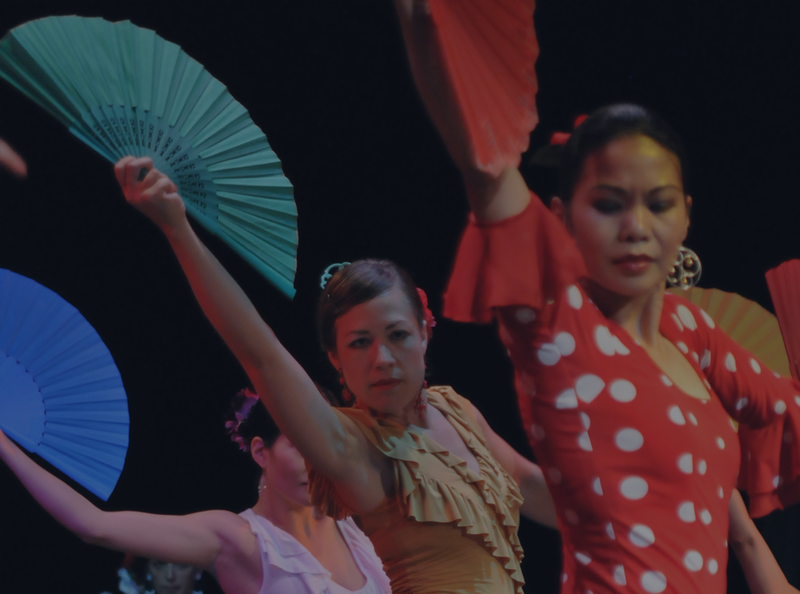 World class musicians including accordion, trumpet, guitar, cante and the students of The Flamenco Academy of Dance share their passion for flamenco in an exciting and colorful evening of music and dance. Performance Type(s): Student Performance. 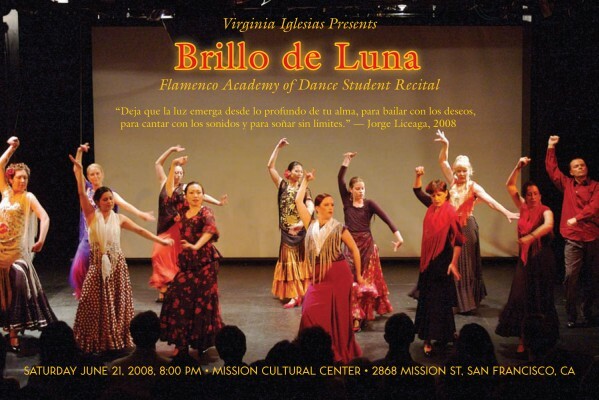 Performance Name(s): Brillo de Luna. « Flamenco and Fire! One Night Only!